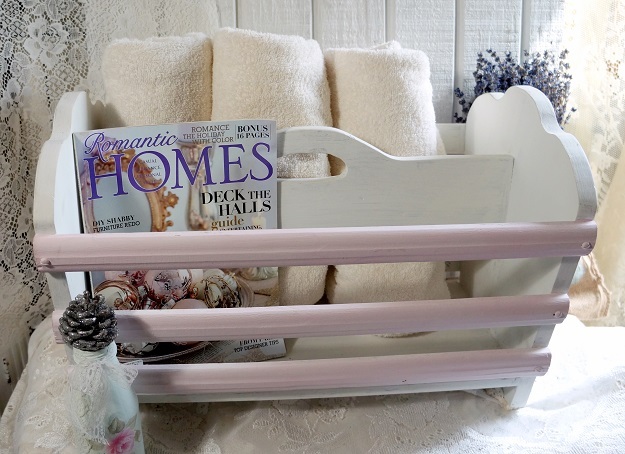 I love how gorgeous this magazines rack turn out. 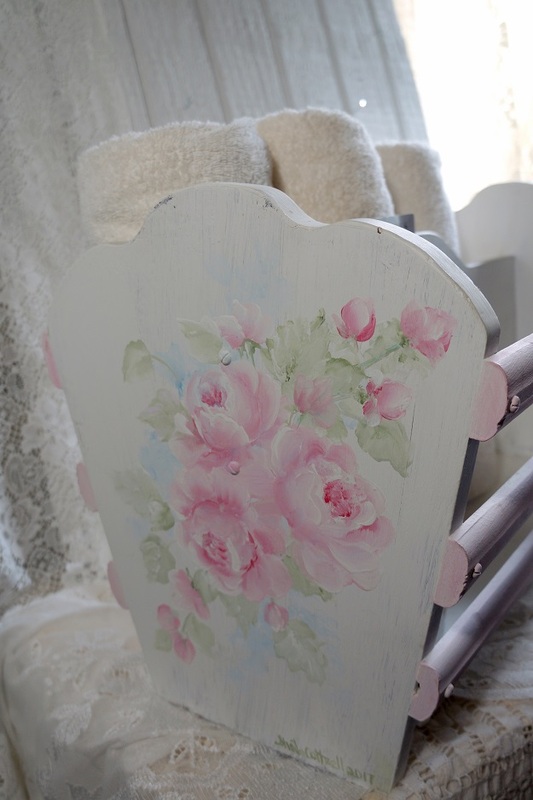 I painted it white and pink then add beautiful roses in shades of pink with blues mixed into the background and foliage in shades of green. Then I added a bit of distress for a warm worn look. 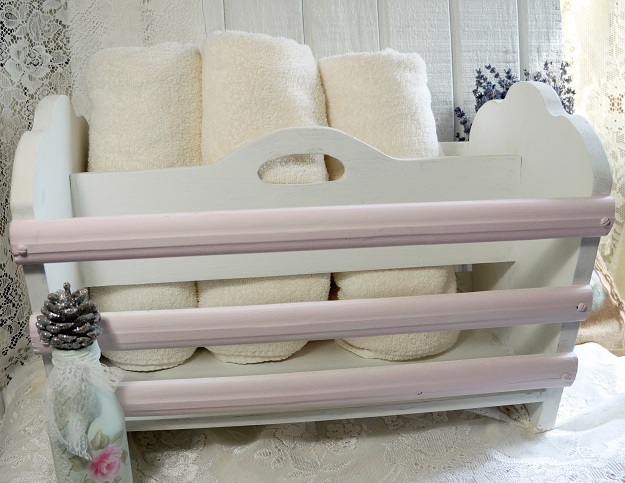 Great in a family room or living room to organize your magazines or in the bathroom for you favorite magazine, towels, soap, lotions and accessories. I've seen many of these used in the kitchen to hold cookie sheets, jellyroll pans and cake pans. 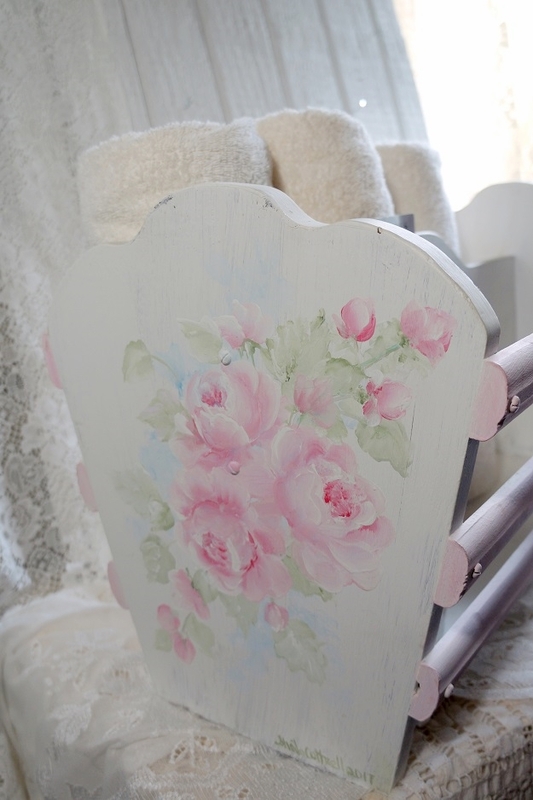 If you hang it in the kitchen you can also hang a decorative hand towels through the rails with the pans. 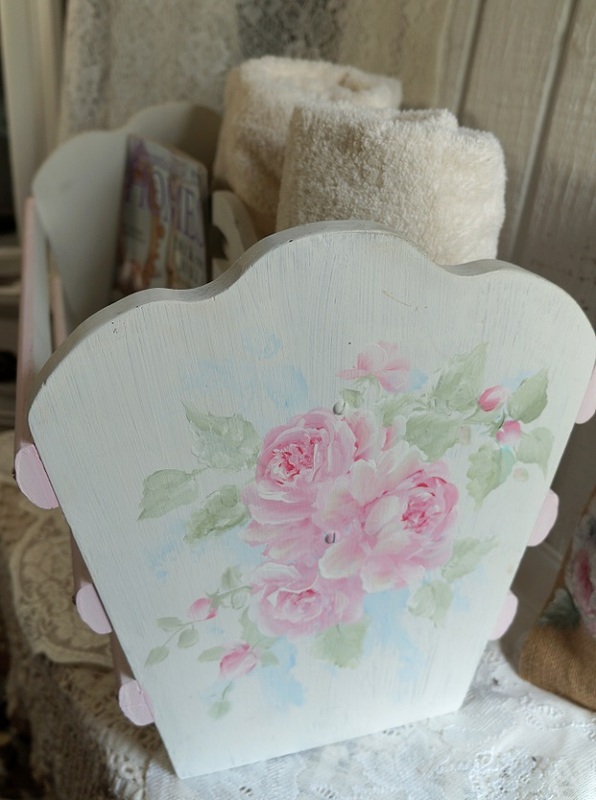 Add a little romantic elegance to you French country, shabby chic style, or farmhouse cottage style home.